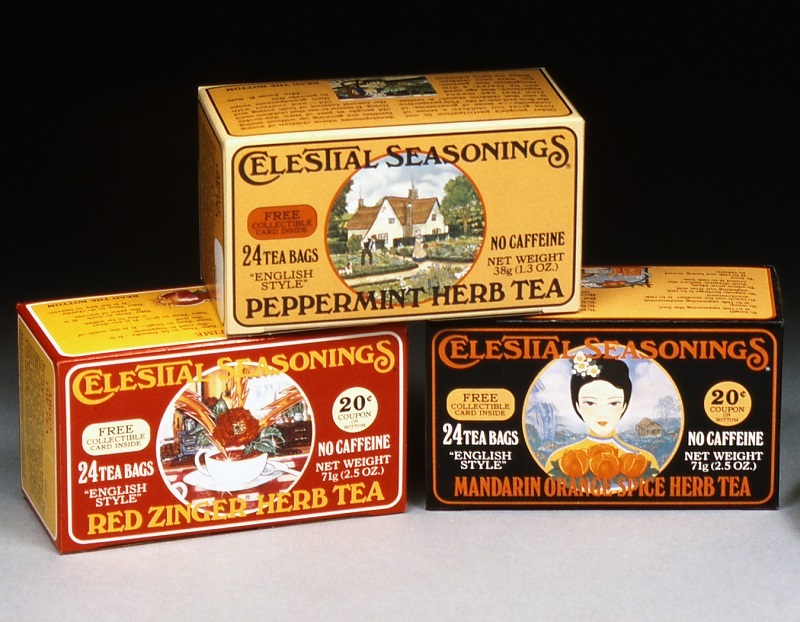 When Celestial Seasonsing wanted to expand from the health food market into the mainstream grocery marketm they knew they needed to improve their herb tea packaging. President and founder, Mo Siegel tapped Hank Schmidt to lead the new branding and packaging effort. 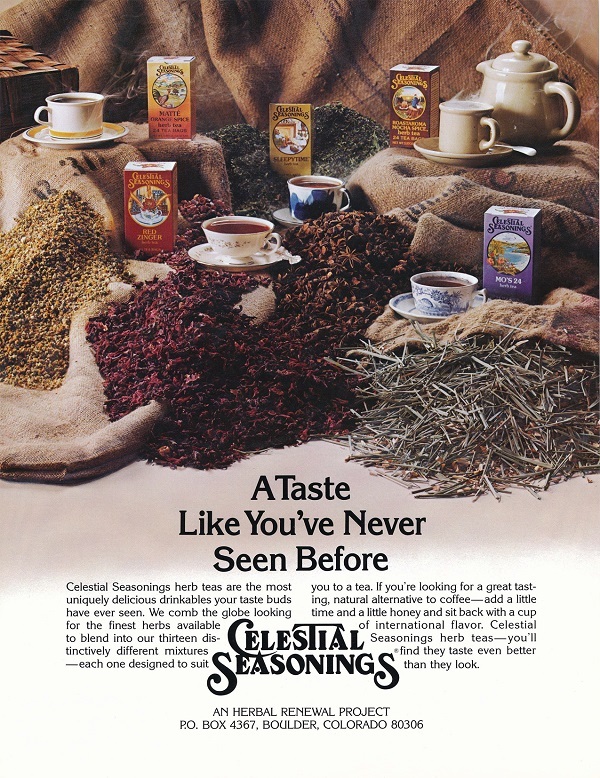 Celestial Seasonings was transitioning from bags to cartons, the first carton effort fell short and that's when Hank was called in. 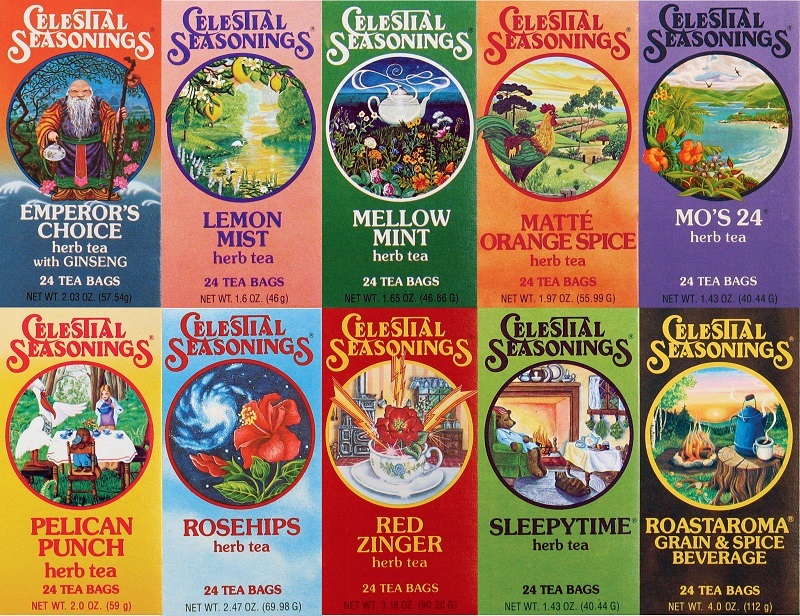 The first step was to redesign the Celestial Seasonings logo. This was before computers, Hank created the new logo by hand using black & white paint. A template wass developed for the cartons that standardized the size and location of graphic elements. 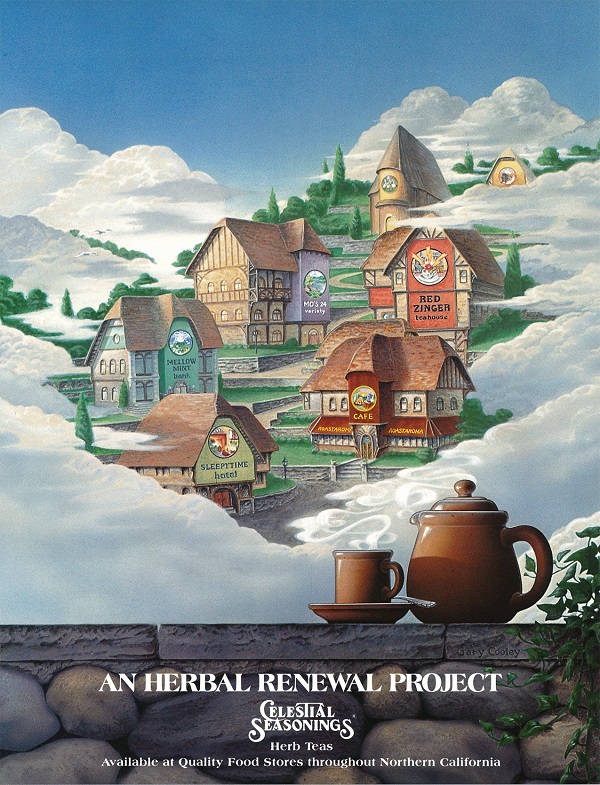 Hank art directed the preparation of new illustrations by Beth Underwood Hay and Rance Barella. 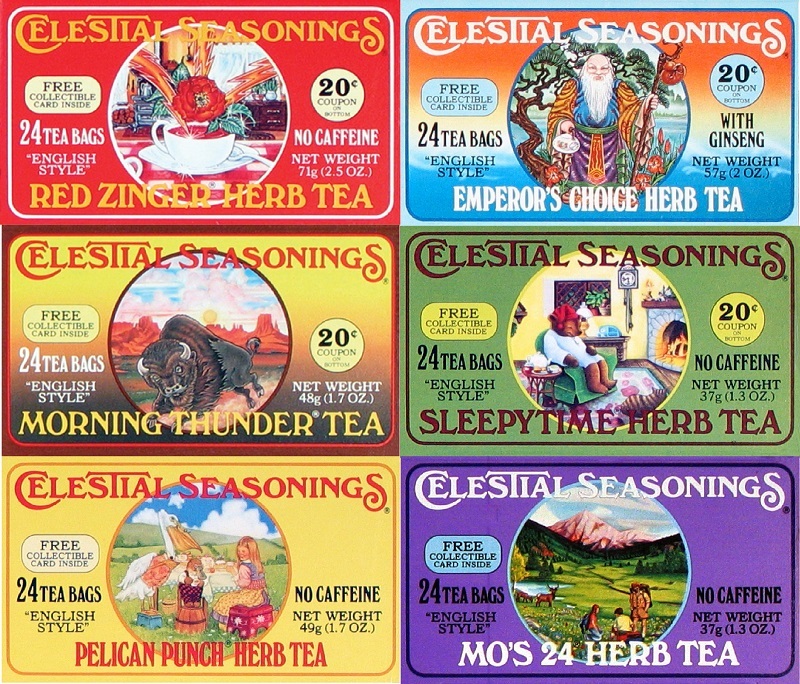 Then Hank developed the color system for each herb tea flavor. There had been many problems with color reproduction. Hank developed quality control procedures and printing techniques that resulted in much cleaner colors on the cartons. A special red ink color was formulated named "red Zinger Red". It was used on the carton background to get a deep rich color and that same color was used as a spot color on other cartons. This resulted better and brighter colors on the cartons. The brand grew quickly in the grocery market. A market survey discovered that customers were buying the product based solely on the packaging. 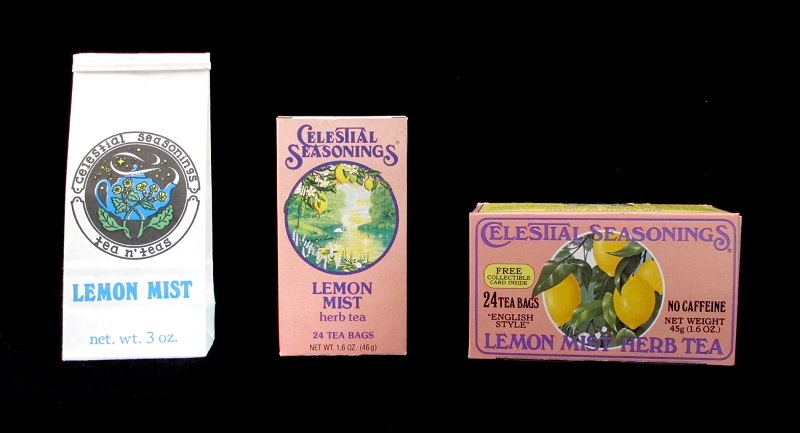 They were not familiar with herb tea, but decided to try it based on the colorful packaging with whimsical illustrations. 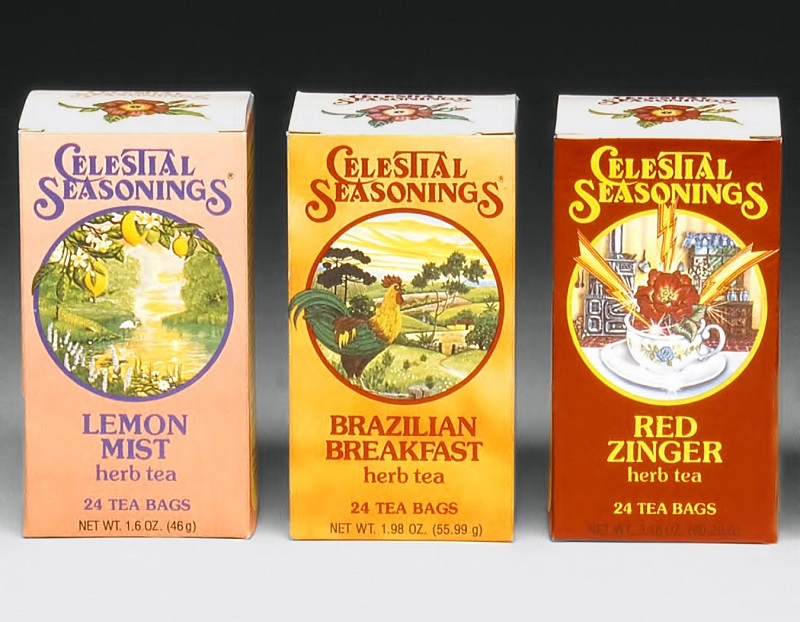 Celestial upgraded their production lines, and a new carton was needed to run on the new equipment. New cartons were designed. Hank was called in to oversee the transition of branding elements from the vertical cartons to the new horizontal carton format. Hank also designed print materials such as stationary, business cards, promotional literature and point-of-sale materials. Hank worked with Celestial's in-house advertising agency, Celestial Reflections art directing and producing award winning full color print advertising. 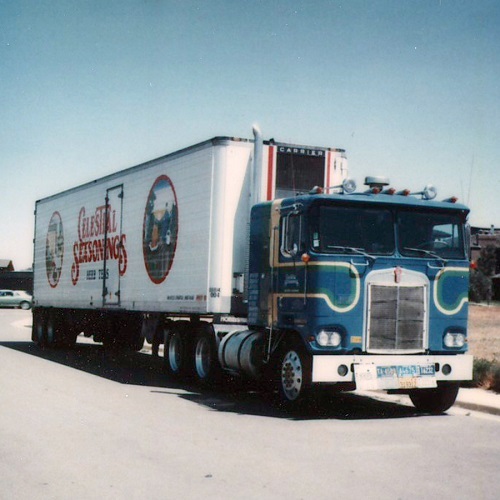 The branding effort carried over onto Celestial's fleet of over the road trucks. 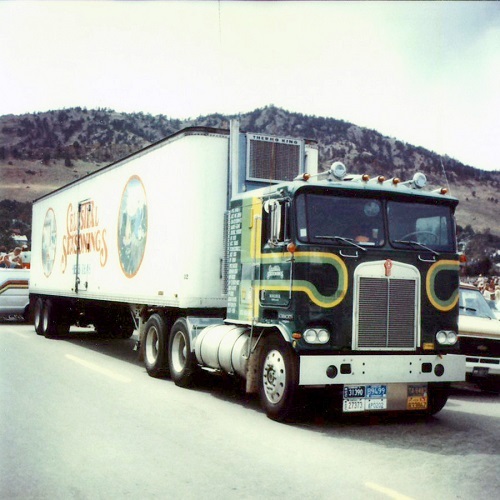 A different color combination of the graphics was painted on each cab.